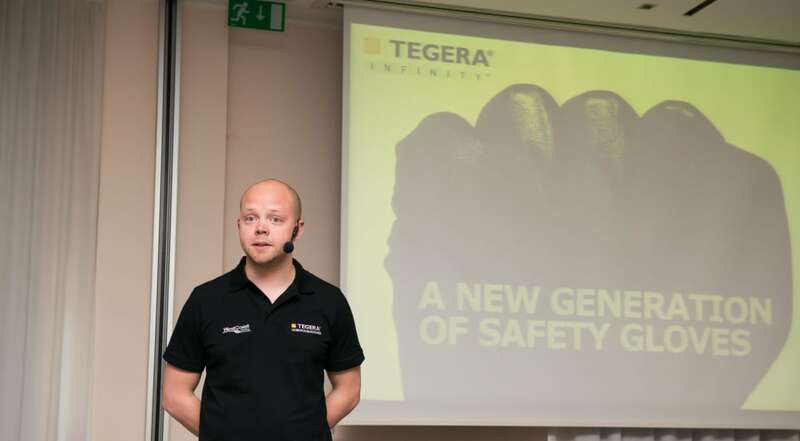 Ejendals of Sweden launches new TEGERA® Infinity™ safety glove collection based on proprietary manufacturing technology. Göran Ström is not a man to preach. 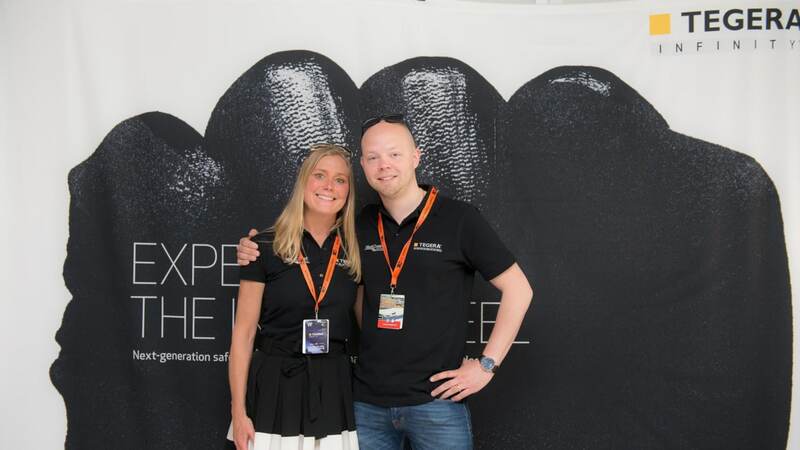 As product manager at Ejendals AB, the Swedish hand and foot protection company, he prefers to let customers make up their own minds. 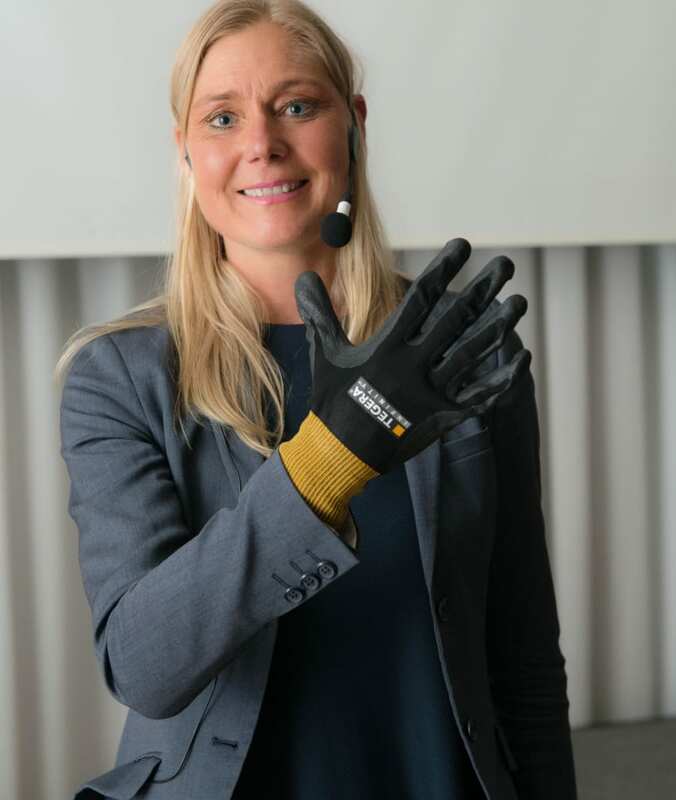 So it’s not surprising that on a snowy day in Stockholm, the low-key Swede takes a different approach when presenting the new TEGERA® Infinity™ collection of safety gloves. Standing in front of an audience of stone-faced glove professionals who have seen it all, he singles out a volunteer whom he then blindfolds on stage. There are a few laughs. Next, he pulls out two coated safety gloves for precision handling. By now, the audience is riveted. “Which of these two gloves feels softer, smoother and has a better fit?” he asks. Within seconds, and without hesitation, the blindfolded volunteer holds up a gloved hand with TEGERA® Infinity™ 8800. “It feels like a second skin,” he says. He is not alone. Within 15 minutes, the room is buzzing with activity as the glove professionals all come up and experience what Ström calls simply “Infinity feel”. The subject of all the talk – the TEGERA® Infinity™ collection – is a new generation of ultra-soft coated safety gloves designed and developed in Leksand, Sweden by Ejendals AB. The family-owned company, with a staff of 360 and global operations, has specialized in safety gloves since 1949 and also owns the JALAS® brand of safety shoes. Over the years, TEGERA® gloves have developed an almost cult-like following at thousands of worksites in Europe and is now expanding its global operations. “If you work in car assembly or a warehouse, you probably know the feeling of a rubber-coated glove that feels a bit stiff and clumsy,” says Ström. “Now imagine a safety glove so snug, comfortable and sensitive it doesn’t feel like you’re wearing a glove at all.” He adds that several of the models are also designed for added slip-resistance in wet and oily surfaces, including two models that are graded CUT5 for protection against sharp objects. According to Ejendals, the secret behind the “Infinity feel” is a proprietary new manufacturing process that combines state-of-the-art coating material with extra-soft and protective fibers. It’s a matter of getting the knit, dip and yarn working together to offer a level of smooth fingertip control and precision handling. The “dip molding” material used consists of a unique blend of nitrile and water based polyurethane (PU) that provides excellent flexibility uncompromising protection and superb fit. This, combined with the manufacturing technology itself, is the key to making the final product what it is. “The Ejendals Safety Concept is something that many of our customers in Europe greatly appreciate. We collaborate very closely with them to find the right types of gloves for different applications and can show measureable results in terms of improved safety and productivity – something we constantly follow up on. Now, we’re excited to be bringing this way of thinking to the rest of the world,” concludes Jan Lundmark.